Nervous or phobic patients are especially welcome at the Insley Dental Practice. We achieve this by looking after patients with empathy and understanding, taking the time our patients need. We use pain free anaesthetic techniques and always pause for breaks as required during treatment. We can also use intravenous sedation. This treatment uses a drug called Midazolam. The effect of this is to calm the patient whilst they remain conscious. The patient will not remember any of the procedure afterwards. 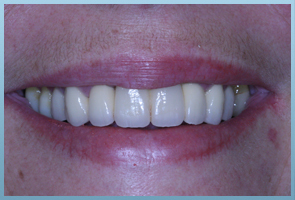 The combination of techniques that we employ to help our nervous patients has proved very successful and we find helping patients like this extremely satisfying and rewarding. "If there is a phobia of dentists,then I have been a sufferer since childhood (now being 50 yrs young!) but in recent years I have managed to curb those fears. However I could not have done that without the patient and calming manner in which Mr Insley, his hygienist and nurses gained my trust. This has been proved in the last few months,when I underwent some fairly intensive cosmetic treatment. Not so long ago I could not have contemplated such a trauma! 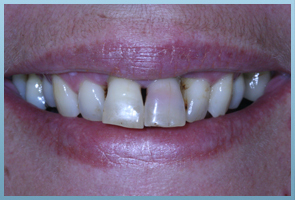 But with their care and encouragement I was able to see it through and I now have a bright confident smile thanks to their treatment of me."